Cycling fans can meet professional riders from around the world and pedal the course of the largest single-day professional bike race in North America. 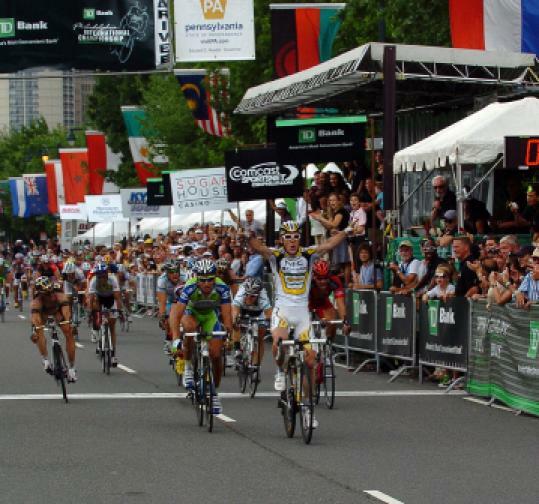 The TD Bank Philadelphia International Cycling Championship takes place June 5, when 400 pros from more than 20 countries compete on a historic 156-mile route through the city. A special Weekend at the Race package for fans includes a bike tour to Valley Forge with a picnic lunch, a “ride and dine’’ with several of the event’s top racers, a chance to meet team directors and mechanics, and VIP access to hospitality tents along the course on race day. The June 3-5 package, offered by Exceptional Cycling Tours, runs $799 per person, based on double occupancy. 610-574-3534, www.procyclingtour.com.